Before he became the brilliant creator of Disney XD’s Gravity Falls, set to return this Summer, show creator Alex Hirsch was in high school. While there, he competed in a bird calling contest that got to see the winner go on the Late Show with David Letterman and be introduced to the world. You may or may not know, that Letterman is a big fan of nature. As a matter of fact, Rolling Stone just ran a really good piece talking about how David likes to fish and hang out in the mountains of Minnesota, so don’t sound all that surprised that Dave’s show would put together something like this. You can check out pics of Alex on Letterman here. 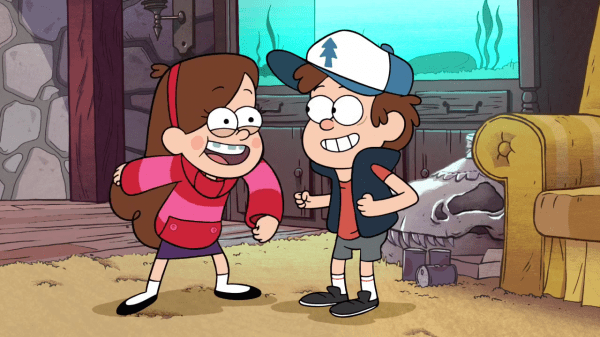 Maybe now that Dave is retired, he can return the favor and be on an upcoming episode of Gravity Falls…yea?